Indian women marrying NRIs, glamorous though it sounds, has recently become a cause of serious concern. 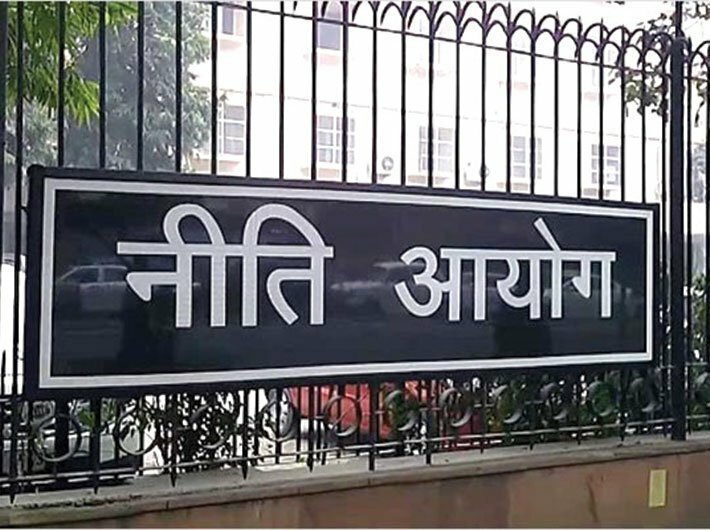 The reason for this is the alarmingly high rates of desertion of women marrying NRIs, said a blog posted on the Niti Aayog website. The blog ‘NRI: Non Reliable Indian Grooms’ by Suparna Jain, officer on special duty, NITI Aayog, and Aparajita Gupta, young professional, NITI Aayog, said that from September 24, 2009 and November 30, 2011, the National Commission of Women (NCW) has registered 796 such complaints. One of key obstacles faced in taking the errant spouses to task is serving court notices. This is primarily due to absence of correct overseas addresses of spouses due to which notice does not get served, without which the court cannot proceed. Many husbands often use the lenient laws in foreign countries to obtain ex parte divorces from foreign courts. This becomes a weapon in their hands to deny maintenance to women who are dumped in India. Since NRIs rely on foreign court granted divorces, the women only come to know through foreign court notices about the divorce. To address this issue, the Telangana State Commission for Women along with NCW have recommended that the union government needs to enter into agreements with other countries to catch the NRIs duping Indian women after marriage. Jain and Gupta wrote that at the national level, the NCW was nominated as the coordinating agency for issues related to NRI marriages. The ministry of external affairs (MEA) also has a scheme for providing legal/financial assistance to Indian women deserted by their overseas Indian/foreigner husbands. In a circular, the MEA has stipulated that Indians married in India or abroad, who want to remove or change the name of the spouse after a foreign court has granted divorce, will now have to submit a declaratory order from an Indian court. This means that Indian court’s order will be essential before applying for changes in the passport. Earlier, an authentication from the MEA or a divorce decree granted by a foreign country’s court sufficed. However, the changes became necessary after increasing number of fraud cases came to light. The government, at its end, has taken the initiative of setting up a committee to formulate a standard operating procedure (SOP) for dealing with NRIs abandoning their wives. This was needed in light of several such complaints being received by the women and child development ministry. This issue was also brought forth before the Rajya Sabha Committee of Petitions in 2016. The committee was advised that Section 14 of the Foreign Marriage Act, 1969 has provisions to help women married to NRIs facing problems abroad. This section provides a mechanism for a marriage certificate being issued which “shall be deemed to be conclusive evidence of the fact that a marriage under this Act has been solemnized”. However, on the face of it, a marriage certificate would only be a piece of paper unless further steps are taken to give it weight and make it recognised abroad. Looking at safeguarding rights of women from a legal perspective, there are adequate enabling legal safeguards securing the rights of women. Constitution of India, under Article 15(3) empowers the state to make any special provision for women. Further under Article 51A (e), it is the duty of every citizen of India to renounce practices derogatory to the dignity of women. Legislatively, the key legal safeguard available with women is Section 498A of the Indian Penal Code, 1860 pertaining to cruelty. However, since this provision does not directly pertain to desertion, the relief available to affected women is not suitable. In 2012, the Passports Act was amended and a new provision was added to confiscate passports of people having suspicious marital records. According to NCW and the Ministry of Women and Child Development, passports of NRI grooms are being impounded by the Passport Office if they have deserted their wives. In addition, a women grievance section with helpline has also been floated so that deserted brides can register complaints, said the blog. Recognising the enormity of problem in Punjab, the state government, at its own end, has undertaken extensive measures to check the problem. A special law by the name of Punjab Compulsory Registration of Marriages Act http://nripunjab.gov.in/writereaddata/images/pdf/scan0005.pdf was enacted in 2012 making it mandatory that all marriages between two Indians or an Indian and an NRI/foreign national need to be registered. This law applies to people irrespective of their religion, caste or creed. At the time of marriage, the NRI or foreign national is also required to disclose and mention in writing the passport number and other related details including the permanent residential/official address in the overseas country. This is not to say that efforts are not being undertaken by other states. Several states and the Centre have sought to introduce laws making it mandatory for all marriages to be registered. At the central level, following the Supreme Court orders, in 2012, a Bill to amend the Registration of Births and Deaths Act, 1969 was introduced in the Rajya Sabha to include the registration of marriages within its purview. The Bill was passed by the Rajya Sabha but eventually lapsed. Meanwhile, several states such as Haryana, Tamil Nadu and Meghalaya have come out with a special law for registration of marriages. However, none of these laws make any special reference to NRI/PIO marriage registration. Given the scale of the problem and its domino effect on the deserted brides and their families, it is essential that holistic and planned efforts be undertaken. So the question is what next? One way is for the union government to enter into pacts with other countries to ensure that foreign courts refrain from granting divorce to people married under the Hindu Marriage Act, 1955. There is also a need for state laws for compulsory registration of marriages especially those with NRIs. Following the Punjab model, details of the whereabouts of the NRIs must be recorded. Further, strict penal provisions are needed to prosecute NRIs deserting their Indian brides. What is also needed is awareness generation which could be done through videos like the one by Punjab.